The holidays are right around the corner. That often means busy schedules, travel, long to-do lists, and plenty of festive food. This is all GOOD stuff, but it can also make sticking to the low-FODMAP Diet harder. Luckily, there’s a way to set yourself up for success, even if there’s a house full of Christmas candy calling your name. To avoid having IBS get in the way of your holiday fun, you just need to plan ahead. There are two key areas to focus on if you want to feel great throughout the holidays: Smart eating and stress management. I talked about each key area in its own edition of Calm Belly TV, my live show I stream on the Calm Belly Kitchen Facebook page. You can also read the tips and strategies below. You don’t need to use every single tip! Cherry pick the ones that speak to you and your situation. If you want to learn more about any of these tips, be sure to watch the video. By the way, these tips work ANY time of year when you need a little extra help, not just in December! Take a break - If you’re doing the reintroduction phase, pause your testing over the holidays; if you’re doing the elimination phase it’s okay to take a short break to enjoy some of your favorites. Remember moderation and then get right back to eating low FODMAP. 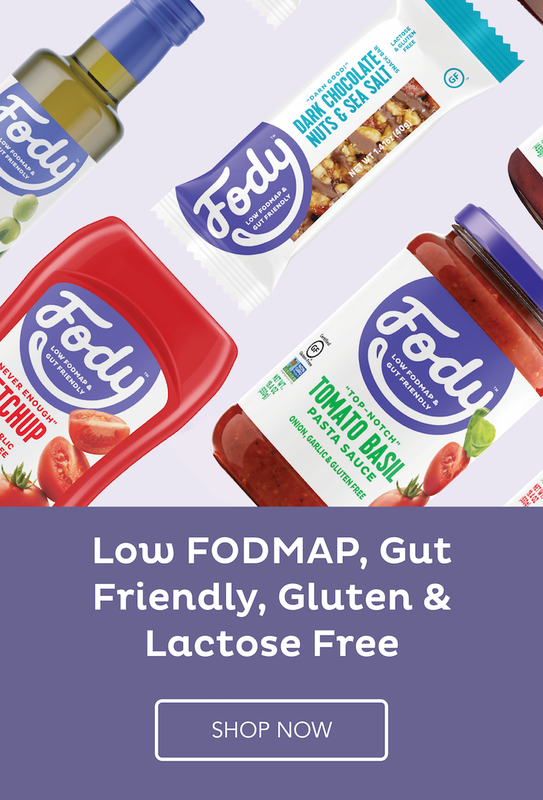 Be selective - Choose the one or two high-FODMAP foods you love most at parties or special occasions and eat a small serving without feeling guilty. Eat strategically in your downtime - Eat low-FODMAP day before, the day of, and day after a holiday event. Taking a little extra care makes room to enjoy those higher FODMAP favorites in moderation. Eat turkey (or whatever protein is being served as the main course) - Any type of large roast is a smart choice. Eat an “inside piece” if you think it’s been seasoned with high-FODMAP ingredients. Bring dessert - You’ll likely have some options to choose from in the main meal (see #4), but dessert can be tough and missing out isn’t fun. Search Pinterest for low-FODMAP or gluten-free versions of things like pumpkin bars, cranberry crisp or bars, brownies, and cookies. Note that gluten free desserts are not always low-FODMAP; however, they will not contain wheat which is the main high-FODMAP ingredient found in many desserts. If you love to cook, bring a side dish too! Tip #1 - Remind yourself that the people who love you want you to feel good. This small mindset shift takes care of the stress that can come up around social meals. If you find yourself fielding questions about your food choices, remember that it's coming from a place of concern and curiosity, not disapproval or anger. Tip #1 also helps when feelings of guilt come up because you’re not following a certain food tradition, or you fear disappointing people by changing the holiday menu. Tip #2 - Organize a non-food activity to have fun and spend time with loved ones. For example, build a snowman with your kids or go hiking instead of baking 5 batches of cookies. When food does play a part in social events, shift the focus to something else like a game or a craft project everyone can participate in. Tip #3 - Lean on your go-to meals more than ever. When you’re busy or stressed, don’t make meal planning yet another item on your to-do list. Instead, rely on the handful of meals that are familiar and friendly to your digestive system to keep IBS symptoms in check. Give priority to meals that provide leftovers to help you save time. No need to test drive new recipes or make something from scratch every night. 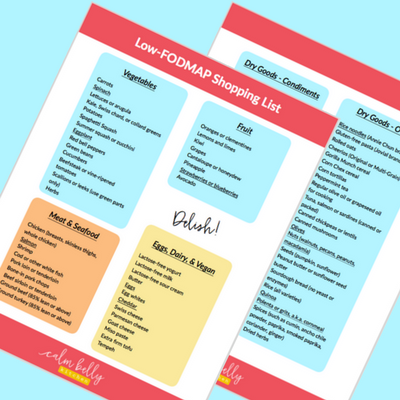 These are my top tips that I've seen work for clients who I'm coaching through the FODMAP Diet. But I bet you have more tips of your own, so use them all! The specific strategies don't matter as much as staying consistent, taking a few minutes to plan ahead, and remembering what works for YOU so you can repeat it.